I added some Chipboards gears onto a black card which I layered with patterned paper and added some buttons. Thank you for visiting my blog this week. I hope you will come back soon. I made this Birthday Cake Tea Light for a little gift recently. I used Spellbinders Scalloped Circles for the base and glued card to the outside of the tea light, added paper flowers and punched butterflies. I made a little box for the cake from coordinating card. Just a smudge of each colour in the range and an image from my stash to finish off a very simple card . Thank you for visiting my blog this week. I made this altered printers tray for my sister- in- laws birthday. 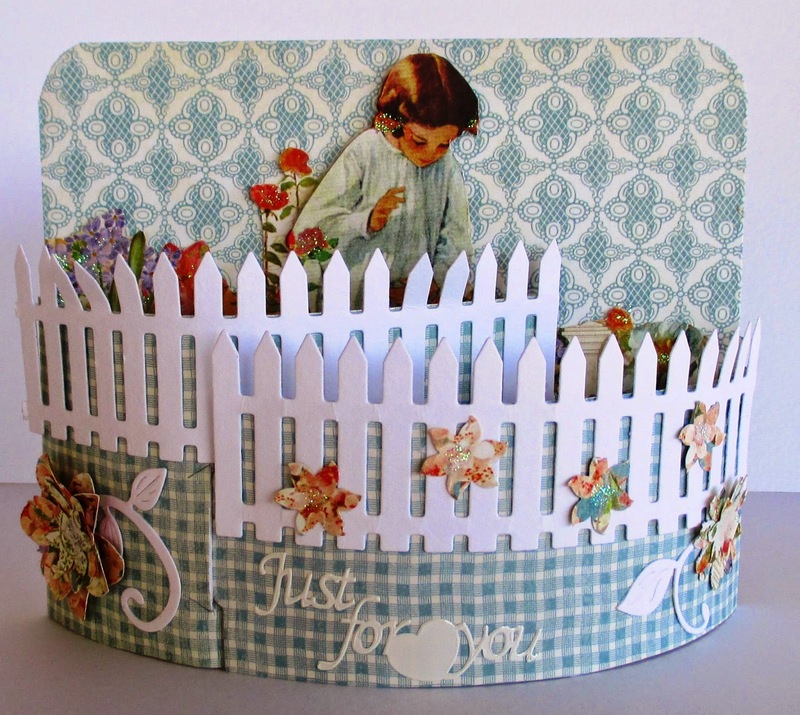 I added family photos, charms, Prima embellishments, lace and chipboard elements to complete the frame. Another of the new Graphic 45 range named Artisan. 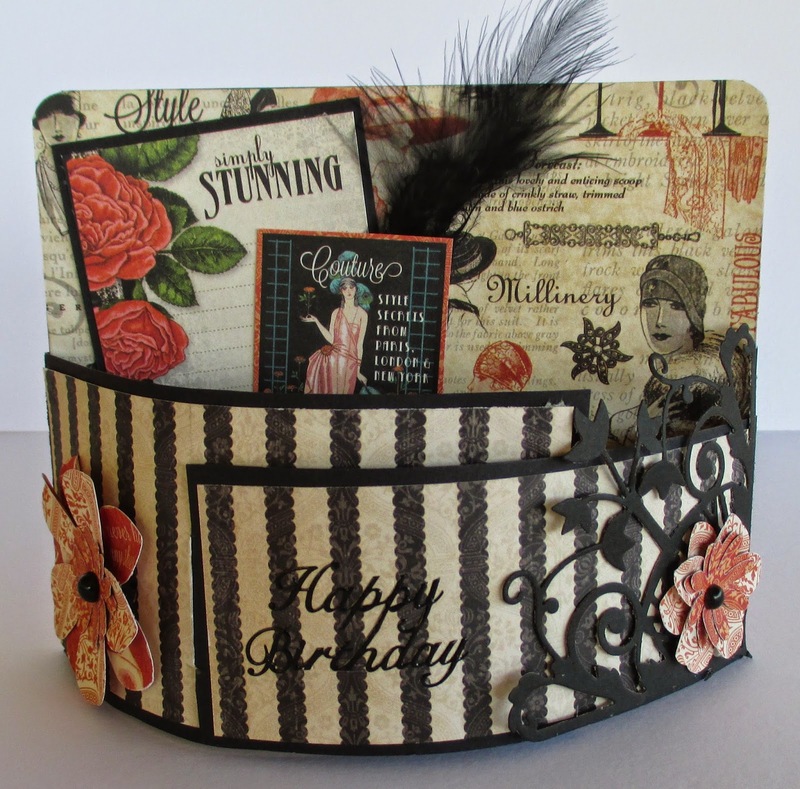 I have layered the paper on black card and added a Prima Wooden Embellishment.. I think this one could be suitable for a New home card. Thank you for visiting my blog this week. This is my sample card for this months challenge. I have used Graphic 45 'Twas the Night Before Christmas papers, paper doily and a paper poinsettia.